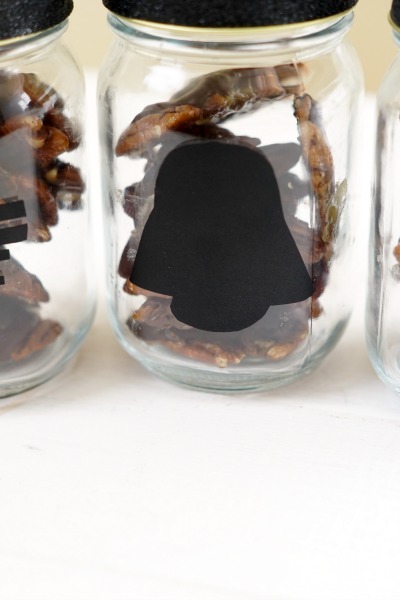 Do you have a dad in your life who is a Star Wars fan? 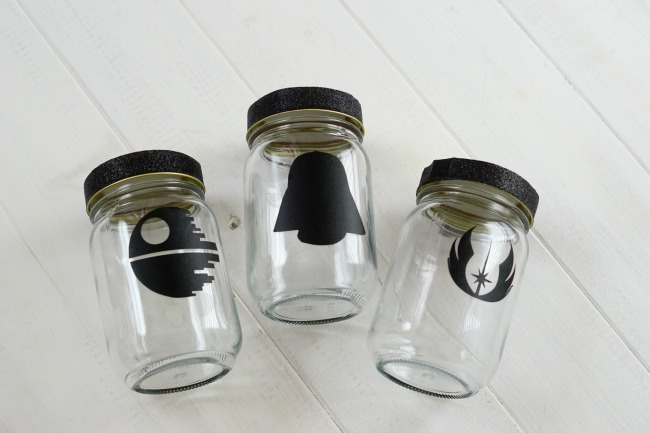 These Star Wars Mason Jars are a great DIY gift for Father’s Day and they won’t take long to make! 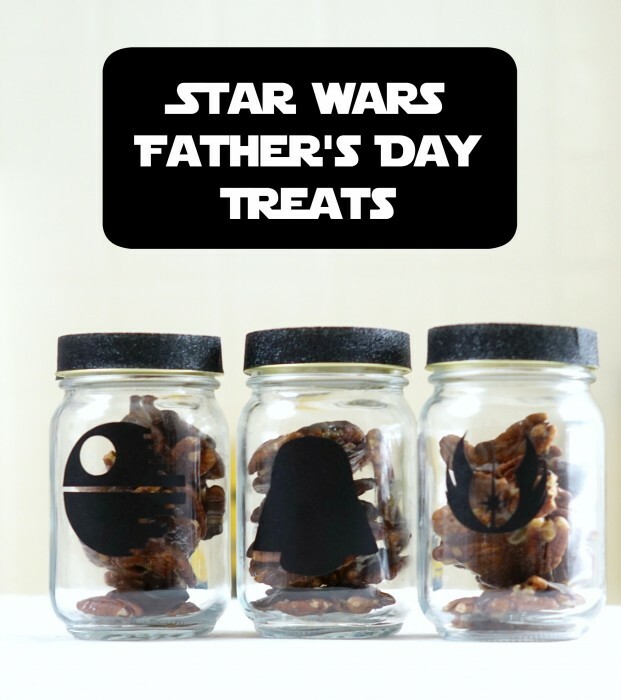 We made these jars for Clever Dad for Father’s Day and filled them with a delicious treat. The Easy Turtles Candy Recipe below only contains 3 ingredients and is easy enough for kids to create! 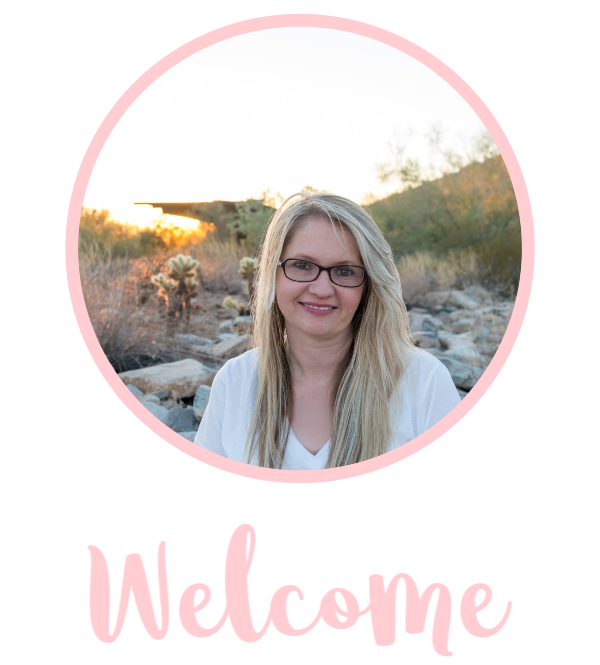 I also used my Cricut for this project and realized, I don’t use this awesome tool enough! 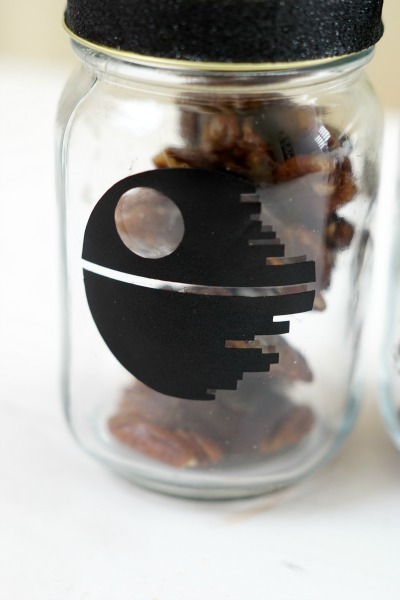 The fact that I can decorate anything in minutes with it’s help has actually inspired me to make something else with these Star Wars cuts. Adhere the washi tape to the rim of the lid. 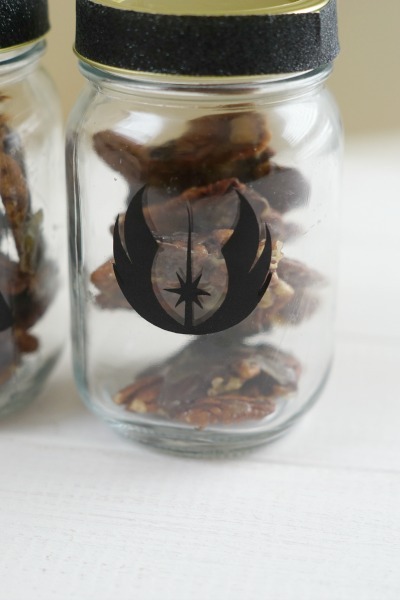 Adhere the cuts to the front of the jars. 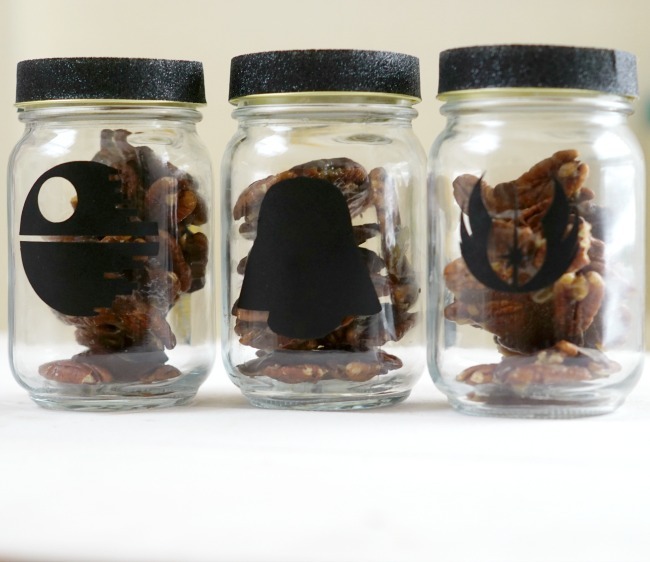 Fill the jars with treats! 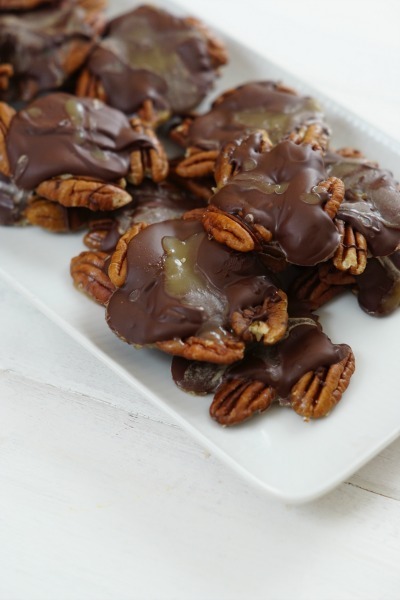 On waxed paper, form pecans into clusters. Use 4 – 5 per cluster, spaced approximately 2 inches a part. Pour a small spoonful of caramel on each cluster. Top with approximately 1 – 2 tablespoons of chocolate. I used my caramel sauce recipe because it contains simple ingredients but you can use any caramel sauce to make this.